Super Rare Games has announced a Nintendo Switch physical version for Lovers In A Dangerous Spacetime. 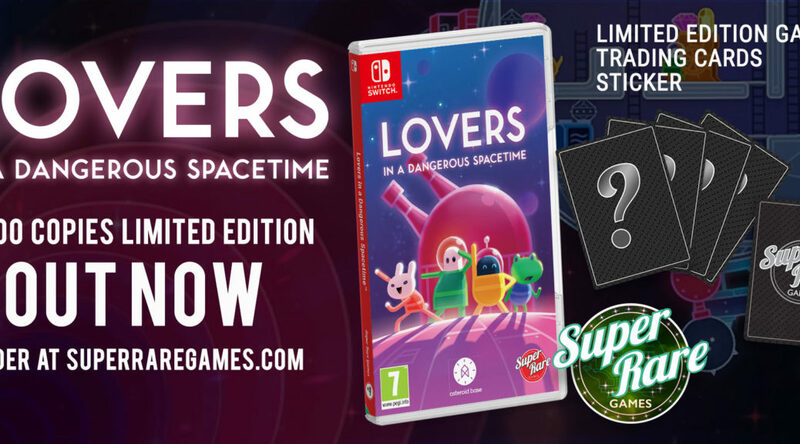 3000 copies of Lovers In A Dangerous Spacetime are now available for pre-order exclusively at Super Rare Games for $34.99 / £29.99 / €33.99. The game ships August 16. The price includes a boxed copy of the Game, one Trading Card booster pack and SRG sticker. Shipping will be added at checkout.